What did a blacksmith make? The Vikings captured the northern English city of York in 866. Once the Roman stronghold of Eboracum, and later the capital of the English kingdom of Northumbria, it became Viking 'Jorvik'. Viking farmers settled on land around the city. Archaeologists have dug up the remains of Viking homes in an area of modern York known as Coppergate. 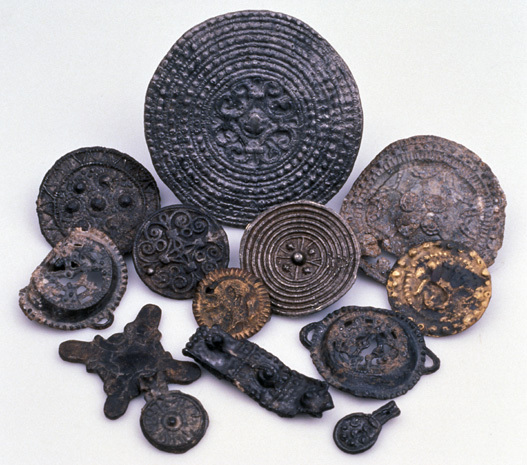 From these finds, we know that the Viking city was busy - and probably dirty, with smoky houses, smelly workshops and farm animals all crowded together. 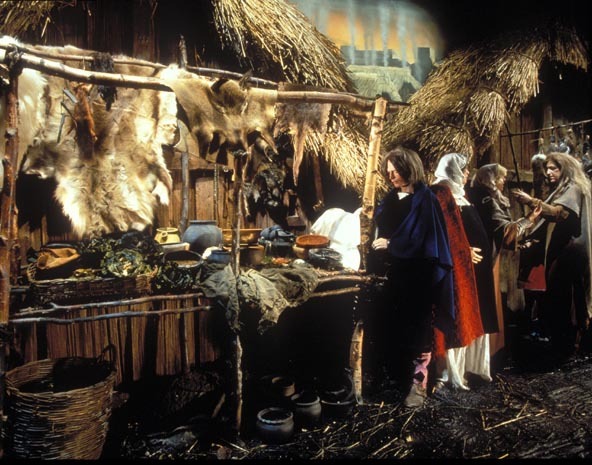 As many as 15,000 people may have lived in Jorvik. 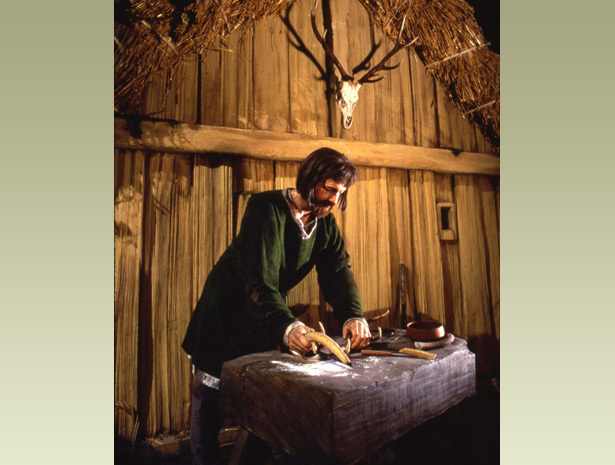 Skilled craftworkers in Jorvik made things that Vikings needed. A family could buy a cooking pot, a pair of shoes, a new padlock for the family store-chest, or a brooch. Woodworkers and leatherworkers were busy making plates, cups, belts and shoes. Jewellers made rings and brooches from amber, silver, gold, jet and copper. Potters baked clay pots in kilns (ovens), heated by wood fires. Pots were used for cooking and storing food. Most cups and plates were made from wood or from soapstone, a soft stone from Scandinavia. Blacksmiths sweated over fires, hammering red-hot iron. They made iron tools, knives and swords. To make a sword, the smith twisted and hammered iron rods until he had made a gleaming, sharp-edged blade. A good sword would not snap in battle. 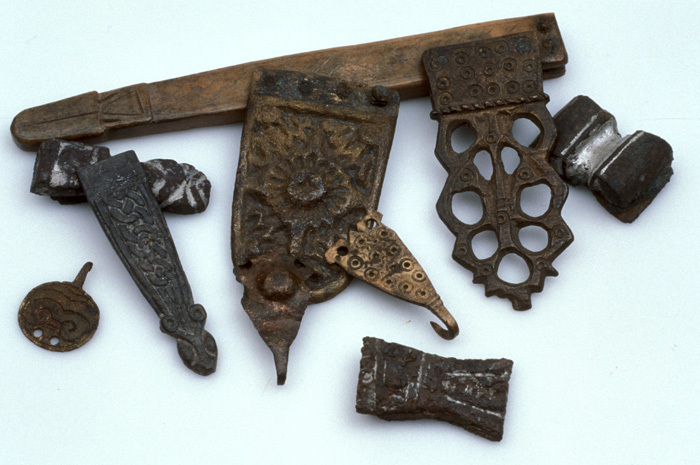 Viking smiths also made iron nails, rivets to hold a ship together, spurs for horse-riding, locks and keys, arrowheads and belt buckles. Smiths travelled from village to village, repairing tools and cooking pans. Kings and chieftains had their own smiths. Many people thought smiths were wizards, making magic out of smoke and flames. To reach Jorvik, traders travelled overland or in boats along rivers. Farmers brought in grain, vegetables and animals to sell. Some travellers came from Dublin in Ireland. Others came from Scandinavia. Traders visited other markets, such as those at Hedeby in Denmark, Birka in Sweden and Kaupang in Norway. At the market, you could buy anything from amber beads and apples to walrus tusks and wolf-skins. 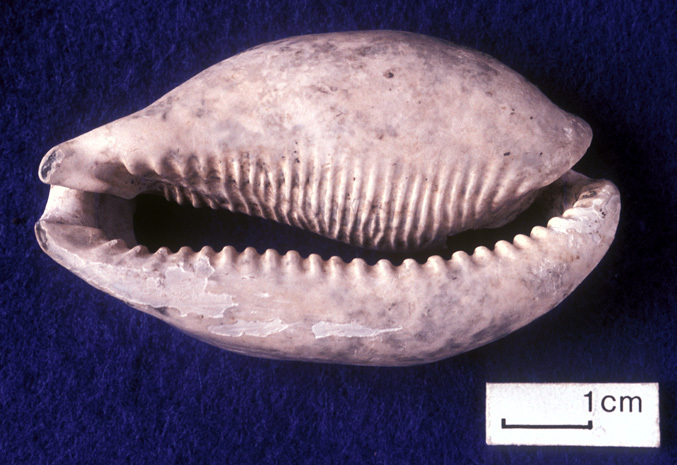 Archaeologists at Jorvik found a cowrie shell (a kind of sea snail). It must have come from the Red Sea, in the Middle East. Viking teeth wore down because Viking bread was made with gritty flour. One coin found at Jorvik had come all the way from Central Asia. Walrus skin cut in a long strip made a tough rope. Duck and goose feathers made soft bed-covers and pillows. Rubbish was eaten by scavenging birds such as kites and crows. Coppergate in York gets its name from two Viking words: koppari (cup-maker) and gata (street). Shoulder-bones of sheep or goats made useful scoops or (with holes drilled ) strainers. Moss or scraps of thrown-away clothing were probably used as toilet paper. People threw rubbish into the river. The pollution drove away some fish, such as grayling. We can tell this from fish bones finds at Jorvik - no grayling bones turn up after about AD 1000. Fish bones often look chewed up. It seems Vikings ate their fish, small bones and all. Viking houses were usually rebuilt every 20 years - the wood rotted. BBC © 2013 The BBC is not responsible for the content of external sites. Read more. A strong drink made from barley. Hardened tree sap, used to make jewellery. A history of England begun in the 800s. A person who finds out about the past by looking at old objects or buildingsthat are buried under the ground. Another name for a smith. A worker who makes things of metal, usually iron. An argument between two families that involves fighting or killings. Ornament used to fasten clothing. Watery liquid left over when butter is made from milk. A design cut out of wood. A magical object or words, to protect a person from harm. The leader of a village or small group of people. A person who follows the religion taught by Jesus Christ. A settlement founded in one country by people from another country. A device for finding direction (east, west, north, south). To beat an enemy and control them using force. The area of England ruled by the Vikings. People who are related to earlier people, in a direct line. Another name for a longship. Someone who travels to unfamiliar places to discover new things. A special meal for a large group of people. A carved wooden piece at the front of a ship. A person who is not a slave and free to choose who he or she worked for. Hat made of leather or iron worn by a soldier to protect his head. A hidden treasure, usually buried in the soil. A kind of black stone used to make jewellery. Long wooden bottom part of a ship, that gives it strength. People who try to take over land from other people. A natural feature that helps a traveller find his way, such as a mountain, a rock, an island, or a group of trees. To put a new ship in the water. A Viking ship with a sail and oars. Sometimes called dragon-ship. A Viking ship with a sail and oars. Sometimes called dragon-ship. Armour made from chain mail (metal rings), worn like a shirt. Animal waste such as dung put on soil to make it fertile for crops. Tall wooden pole from which a ship's sail is hung. A trader, someone who buys and sells things. The building where monks live. Stories told by the Vikings about gods and goddesses, giants and strange creatures. A person who believed in many gods. A large black bird of the crow family. Bits of metal hammered into holes to join ship planks or metal sheets together. The name given to the Viking alphabet. An area where people live. 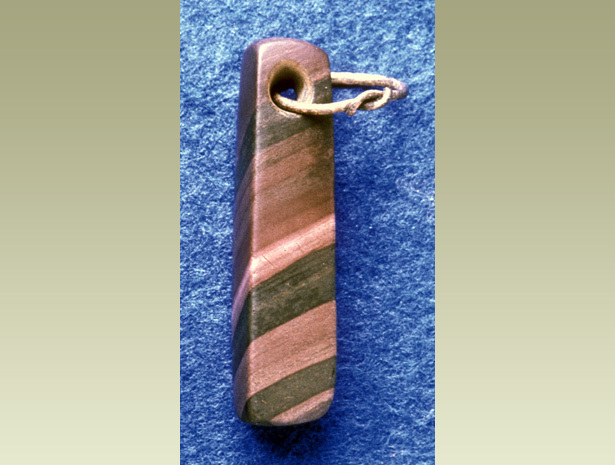 A large piece of wood or metal held in one arm for protection in battle. A curved knife used for cutting grain stalks at harvest time. A person who is not free but is treated as someone else's property. A worker who makes things of metal, usually iron. Plants such as pepper which can be used to flavour and preserve foods. Twisting and drawing out sheep wool into long thin thread. In cooking, a rod or stick on which meat is stuck to roast over a fire. A roof covered in straw. An open-air meeting where Vikings gathered to discuss the law. A person who sells goods. A layer of grass cut with roots and soil, that can be used to roof a house. The tusk, or sticking-out tooth, of a walrus (a large sea mammal), which can be carved. Making cloth on a machine called a loom.